and hit Go to get the location of your item! 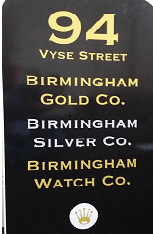 We are at 94 Vyse, St Hockley Birmingham B18 6JZ. right in the heart of Birmingham's famous Jewellery Quarter, opposite and slightly to the right of the Jewellery Quarter Railway Station . Cross over the main road via the crossing and we are a couple of yards away on the corner. We are on the corner of Vyse St and Hockley St. Give us a ring on 0121 448 0488 if you require further directions. The Map on the right will also be of help. The Jewellery Quarter is located just a few minutes to the north west of Birmingham City Centre. You’ll find it easy to get to, whether you’re travelling by car, train, tram or even on foot. Birmingham is well served by major motorways, with the Jewellery Quarter itself well-signposted from the city centre. From the South, the city is accessible by the M5 (from Devon, Somerset and the South West), the M40 (from London) and the M1 (from London via the M6 through Coventry). From the North, both the M6 (Manchester and further North West) and the M1 (from Leeds, the wider North East and via the M6) will bring you to Birmingham. If you prefer to use public transport, there are plenty of local bus services to take you between Birmingham city centre and the Jewellery Quarter, as well as between the surrounding suburbs of Birmingham and the Black Country. Many bus services are operated by National Express West Midlands, so you can visit their website to find out more about the bus tickets that are available and to search for up-to-date local bus timetables. The Jewellery Quarter is served by its own train station (JEQ), located near the heart of the Quarter on Vyse Street and we are more or less opposite it. It is a regular stop on all train journeys on the Birmingham to Worcester Line, which is operated by London Midland between Worcester and Stourbridge (to the West) and Solihull, Dorridge and Stratford-upon-Avon (to the East). During the day, Monday to Saturday, trains run to and from the Jewellery Quarter station approximately every 10 minutes. Birmingham itself is served by three train stations – Birmingham New Street, Birmingham Snow Hill and Birmingham Moor Street. Most major towns and cities in the UK are accessible by train from New Street. From there, it’s just a short, 5 minute walk to Moor Street station to catch regular local services to the Jewellery Quarter. To find out more about train travel to the Jewellery Quarter, visit London Midlands’ website. Since 1999, the Jewellery Quarter has been a stop on the Midland Metro tram line between Wolverhampton and Birmingham. 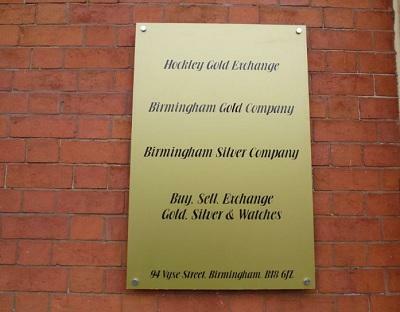 This means that there is very easy access to and from the Jewellery Quarter from the traditional Black Country towns of Wolverhampton, Dudley and West Bromwich, among others. The line has recently been extended from Birmingham Snow Hill into the heart of the city centre itself, with a stop at Birmingham New Street. To find out more about travel using the metro, visit National Express West Midlands’ Midland Metro site.